Does En+ IPO mark appetite for Russian assets? It has been a wretched few years for the Russian economy. Following the downturn in oil prices in 2014, Russia - which is heavily dependent on exports of oil and gas - suffered the longest recession in two decades, its economy contracting by 2.8% in 2015 and by 0.2% last year. That slump was, of course, exacerbated by international sanctions that followed Russia's annexation of Crimea and its military interventions in Ukraine.The rouble slumped in value as international investors rushed to sell Russian assets in response to the sanctions and the Central Bank of Russia was forced to prop it up by interventions in the currency markets and by raising interest rates to 17% at one stage.Banks had to be rescued and it was arguably only thanks to the efforts of the central bank and its governor, Elvira Nabiullina, that a full-blown financial crisis was averted.Thanks to a rally in oil and gas prices, the Russian economy has crawled out of recession this year, while this week brought evidence that some investors may be rediscovering their appetite for Russian assets.The evidence for this is in demand for shares of En+, an energy and aluminium company controlled by Oleg Deripaska, one of Russia's richest men.Mr Deripaska, a close confidant of President Vladimir Putin, is best-known in Britain for inviting George Osborne for drinks on his yacht in 2008 - an invitation that sparked accusations, furiously denied, that the former Chancellor (now editing the Russian-owned Evening Standard) had sought to tap him up for a donation to party funds.En+ on Friday priced its shares, which are floating in Moscow and in London, at $14 each, giving the overall business a value of $8bn (€6bn). 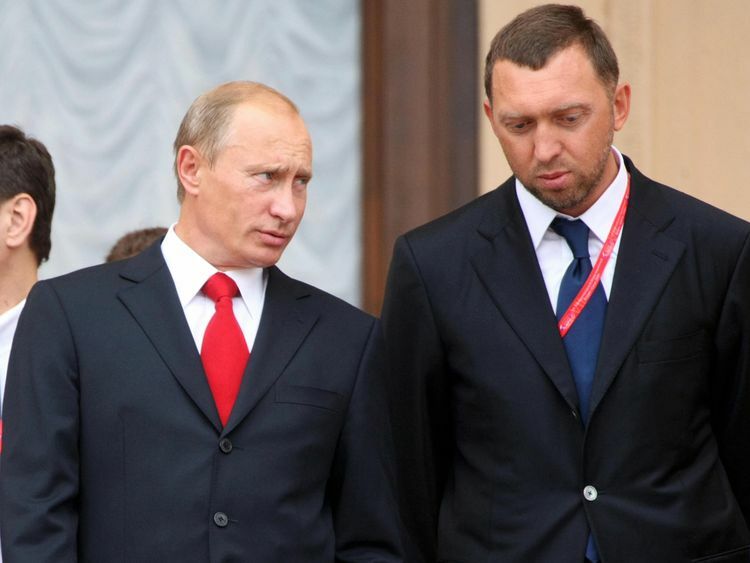 It is the first major primary listing by a Russian company in London since sanctions were imposed on Moscow, although neither En+ or Mr Deripaska himself have been subject to sanctions and the company has raised $1.5bn in the flotation.The valuation was at the bottom end of the company's expectations - it had hoped to be valued at $10bn (€7.6bn). However, as Maxim Sokov, the chief of En+ noted, this still represents one of the biggest IPOs on the London Stock Exchange this year and the biggest anywhere in the world in the metals, mining and utilities sectors.It is also the biggest flotation of a Russian business in London since Sberbank came to market in September 2012, since when other Russian companies - including potash producer Uralkali, housebuilder PIK Group and the mining company Nordgold - have all delisted from London.Mr Sokov said: "We are very pleased with the level of interest and support… that we have received from the global investor community. "So, does this mark a new appetite for Russian assets?It's difficult to tell. The only investor which is known for certain to have invested in En+ is Singapore-based Chinese investor AnAn Group, which has put in $500m (€382m), although Reuters reported on Thursday that both the Qatar Investment Authority and US Capital Group have also participated.It's certainly hard to say whether some investors who might have been considering putting in money were deterred by events this week in which Paul Manafort, a former campaign manager for Donald Trump and who previously enjoyed close ties to Mr Deripaska, was charged with money laundering.But there has been queasiness in some quarters about the IPO because the proceeds are going to be used to pay down company debts, mostly to Russian banks that supported the business during an earlier Russian recession in 2008 and which are subject to sanctions.So, in a roundabout way, investors are helping Russian institutions get around those sanctions.Yet Mr Deripaska's success in getting this flotation away, particularly on a day when two other companies - the ready meals maker Bakkavor and the television masts operator Arqiva - have postponed their own IPOs, may now encourage more Russian companies to dip their toe in the London market.And you can be sure the Kremlin will have watched this stock market listing with satisfaction.